Comic Relief was a fun filled day, raising money for charity. There were red noses, and funny clothes worn across all 3 sites! At Mayfield the pupils utilised the trampoline, donating to charity to enjoy a bounce. 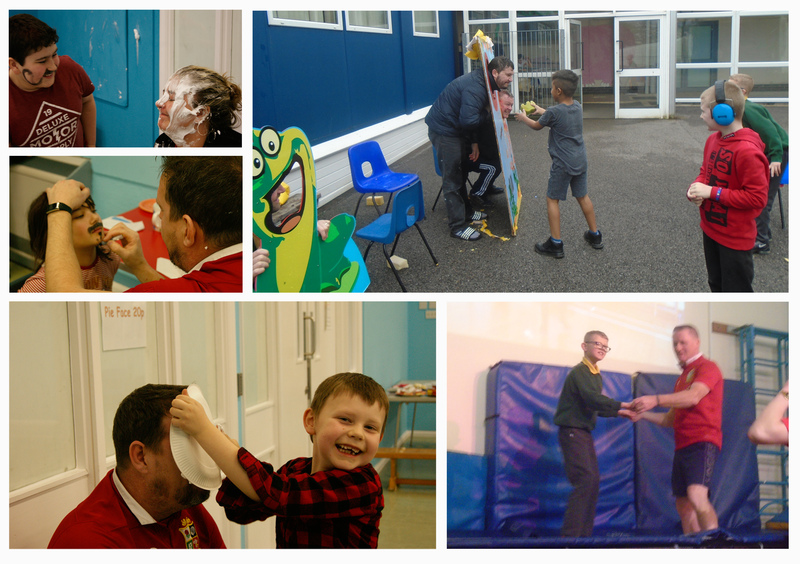 There were also cakes to but, along with a few daring challenges such as putting feet in a bucket of ice, throwing wet sponges at the teachers and dressing up. Mayfield raised over £400. At Chestnut, there were equally exciting challenges taking place, such as ‘pin the nose on Sandra’, Pie Face games and lucky dips. What a great day raising money for such a good cause.